Come and hear our wonderful new resident community youth choir perform in their second concert. Free entry. Eucharists at 8, 9 and 10am (sung procession and donkey starts at St Mary’s and concludes at Christ Church). Readings and music for Holy Week at 6pm. See flyer for full details and venues. Please note that the 10am service starts with the procession at St Mary’s and should arrive at Christ Church around 1030 - but will be dependant on the donkey! 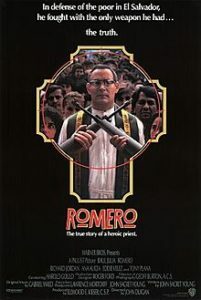 A joint venture between Wanstead Parish and Wanstead United Reformed Church, there will be an ecumenical service at the URC, where they will be screening ‘Romero’, a film about the life of Oscar Romero, the martyred Archbishop of San Salvador who was assassinated whilst saying mass. This will be followed by Compline. Free - all welcome. Meeting in the vestry at Christ Church on the third Tuesday of each month from 10.45am to 12.30pm, this informal drop-in cafe is set up with small tables perfect for intimate chats to share bereavement issues and coping strategies, whether recent or long term. Coffee, tea and cake are provided. Veneration of that Blessed Sacrament at 10am, Eucharists at 1030am and 8pm, with a silent vigil from 930pm lasting until 8am on Good Friday. 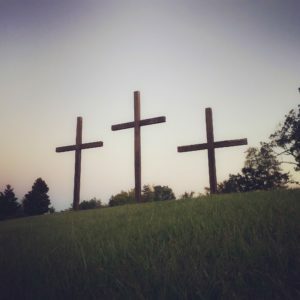 Services at 8, 9, 12noon and 2pm, and a Walk of Witness. Check flyer for full details and venues.